"Three decades ago these islands, which are some of the most remote on the planet, were near-pristine. Plastic waste has increased a hundred-fold in that time, it is now so common it reaches the seabed. We found it in plankton, throughout the food chain and up to top predators such as seabirds." The largest concentration of plastic was found on the beaches. In 2018 we recorded up to 300 items per metre of shoreline on the East Falkland and St Helena – this is ten times higher than recorded a decade ago. Understanding the scale of the problem is the first step towards helping business, industry and society tackle this global environmental issue." Plastic causes many problems including entanglement, poisoning and starving through ingestion. The arrival of non-indigenous species on floating plastic "rafts" has also been identified as a problem for these remote islands. 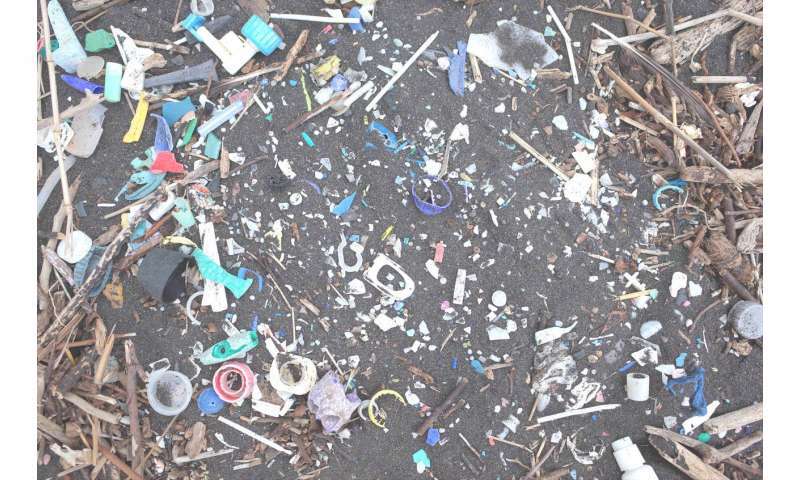 This study highlights that the impacts of plastic pollution are not only affecting industrialised regions but also remote biodiverse areas, which are established or proposed MPAs. "These islands and the ocean around them are sentinels of our planet's health. It is heart-breaking watching Albatrosses trying to eat plastic thousands of miles from anywhere. This is a very big wake up call. Inaction threatens not just endangered birds and whale sharks, but the ecosystems many islanders rely on for food supply and health."